All HR departments must adhere to record retention standards by keeping or purging certain records each year. Below is a table describing several record retention guidelines, including the length of time to keep certain records and the types of records to retain. At year-end, you will need to make numerous changes and modifications to existing records, documents and systems based on modifications to laws, regulations, internal operations, jobs, compensation, benefits, and employees' personal situations. Below is a table detailing common changes most HR departments need to make at year-end. Policies Review policies in your employee handbook and make changes based on new or modified laws, regulations, or internal operations. Job descriptions If any employee's job duties, titles, and/or FLSA exemption status have changed, job descriptions should be modified. Compensation/Payroll Adjust payroll to reflect changes in salary/wage adjustments, merit increases, minimum wage increases, and changes to withholding for benefits or taxes. Benefits Change benefit levels for defined contribution and benefit plans; adjust benefit contributions; and make changes per health care reform provisions. Performance Reviews Update employees’ files with their year-end performance review. Document the review in your HR information system (or other applicable database). Rewards and training Update employees’ files and your HR information systems/databases with their documented rewards, recognition, training, and development from this past year. Employee info Update employees' address, personal, demographic, and emergency information in your HRIS or files. 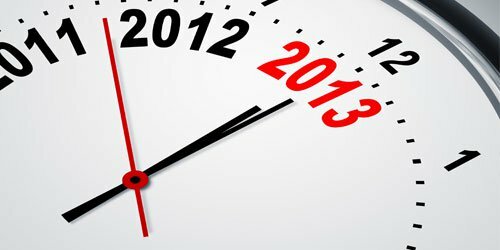 At year-end, HR usually needs to plan for its operations, upcoming projects, and strategic/continuous improvement initiatives in 2013. Below are several planning tasks that you will want to conduct heading into early 2013. Hiring & Staffing Meet with each of your hiring managers to evaluate their staffing needs by department and plan sourcing strategies. Consider retirements, terminations, promotions, turnover, company strategy, and other changes to staffing levels. Training & Development Review employee development plans, training needs and/or requests, performance reviews, or training needs assessments to evaluate training needs. Schedule training and development activities for 2013. Employee Relations Plan an employee engagement survey to evaluate morale. Plan, schedule, and update critical employee events, activities, initiatives, paid holidays, etc. Distribute attendance and vacation calendars/planners to supervisors and managers. Performance Management After reviews are finished, plan for the next performance management cycle, including goal setting for 2013. Work with managers to schedule follow-up, feedback, and support activities to enhance performance. Management Development Review exit surveys, employee feedback, and other information about managers. Schedule recently promoted supervisors or managers or managers in need of additional training for supervisory training or leadership development. Compensation Evaluate compensation and incentive practices for each of your employees and plan new pay programs. Schedule which salary surveys you will participate in next year. Budget for 2013 pay adjustments and/or merit increases. Benefits Review health care reform provisions going into effect in 2013 and schedule dates and tasks for compliance. Plan your benefits strategy for the upcoming year including benefit additions, enhancements, and removals. Compliance Conduct an HR audit. Review federal and state compliance trends for 2013. Plan proactive efforts to maintain compliance or modifications to existing practices to ensure compliance. Continuous Improvement Plan initiatives (such as deploying an HRIS) to streamline and make HR processes more efficient. Enhance processes and systems to reduce errors and improve quality of deliverables. Evaluate vendors for HR services. Need additional assistance or guidance pertaining to year-end administrative tasks? ERC Members may contact our HR Help Desk for research and guidance at hrhelp@yourERC.com. Download this free training planning worksheet to plan and organize employee training for an entire year. Schedule your employees for training sooner than later! View a list of training topics offered by ERC or register you or someone else for training at ERC's Workplace Center. Are you evaluating your vendors or planning to add some new HR services, outsource a few existing ones, or streamline processes with new HR technology? Check out ERC's Preferred Partners who offer incredible cost savings for ERC members on HR and benefits services, HR technology, recruiting and staffing, wellness, and more! Use survey data to plan for next year! ERC's compensation and benefits surveys provide critical planning information to help you plan for 2013.